I just visited the city at this exact time, during this past Hallow-weekend. I must write about it in parts, for there is a lot to unpack (and also, a video is coming!). I will start with books, for books are what brought me to this trip in the first place. 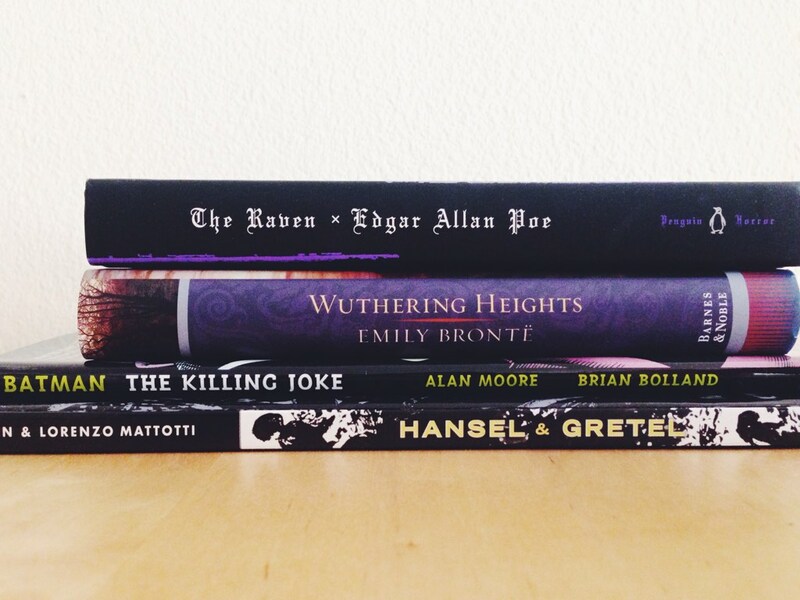 Neil Gaiman was the catalyst for this trip. I bought tickets to see him on Halloween at the NYPL and decided to make a little vacation out of it. But more on him, later. I have said it before, but I truly believe writers must live in the cold. For when it is cold, I want nothing more than to curl up with a book and READ and WRITE and READ and WRITE and drink WINE (R.W.W. for short). Here in Los Angeles it is preternaturally sunny and it is an awful environment for literature to haunt my soul. There are little ghosts here, because there are little dark places for them to go. New York has more than enough. We grabbed a table upstairs and were served drinks by a friendly waitress who had just moved to NY from Texas. 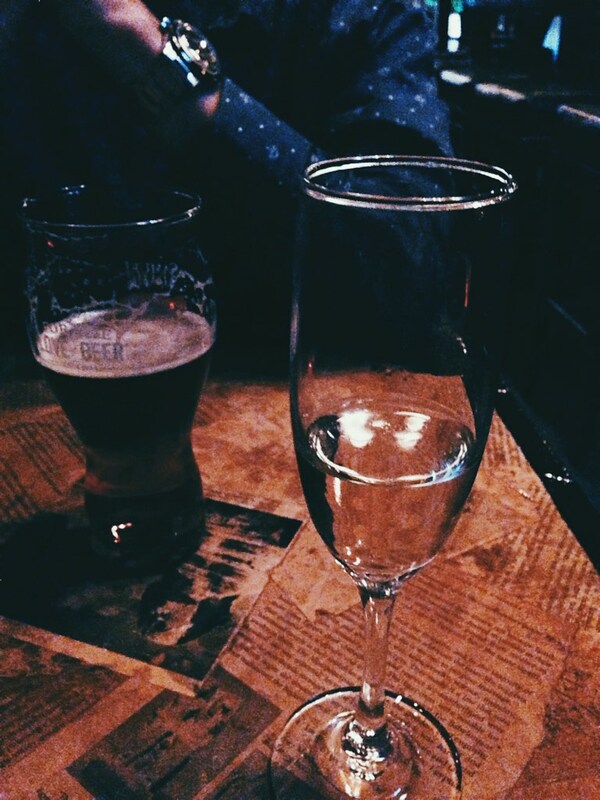 I had sage and fig infused vodka mixed with champagne (yes) and Colt had pumpkin-infused whiskey (STRONG). Then I read “Despair” by H.P. Lovecraft, which fit the eve of Hallow’s eve so very well. And if Colt was embarrassed he pretended not to be (I don’t think he was, and also the whiskey probably helped). The next day was Halloween. We spent the day strolling through Central Park which was dappled with ruby red leaves; I felt as if I was viewing the world through garnet-colored glasses. 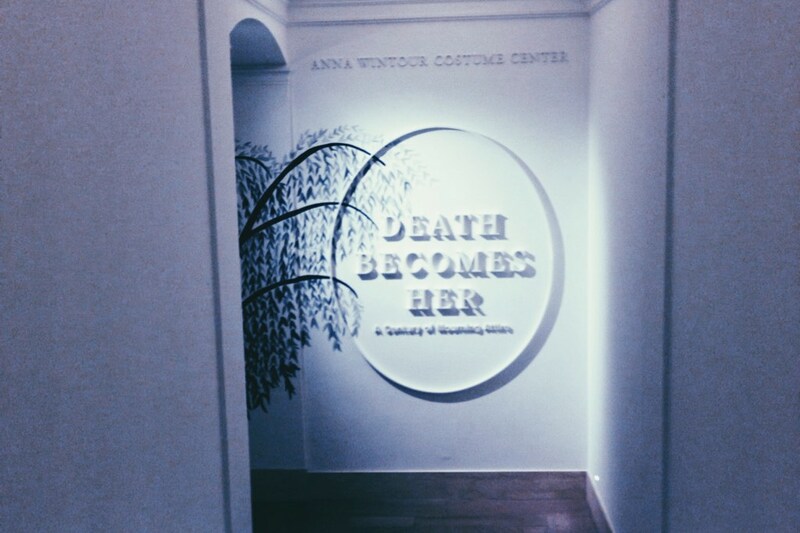 Our path through the park brought us to the Met, where we refueled with lunch and wine, and then we saw the Death Becomes Her exhibit, curated by Anna Wintour. 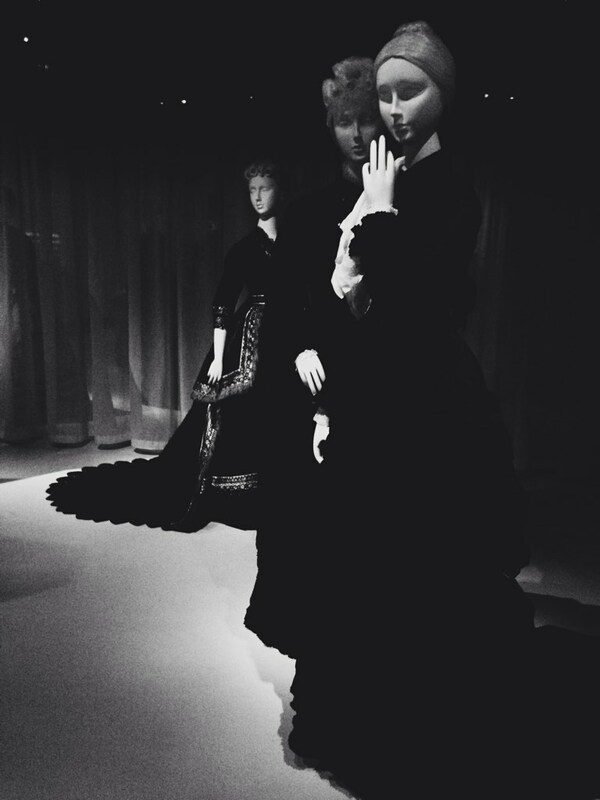 The exhibit details the mourning attire worn by American women throughout our few hundred years’ history. It was a rigorous exercise, to be in mourning, and it was a burden that most often befell the women. A widow was often expected to wear black for two years (perhaps to also stave off potential suitors, as well).The dresses were most beautiful, but heavy and cumbersome with grief, flowing with black taffeta and layers of tulle. Gradually, the attire would begin to lighten, to blacks with white stripes, or deep eggplant dresses with grey. I bought the Penguin Horror edition of The Raven at this exhibit. Then, in the evening, we saw Neil Gaiman. But I will have to save him for my next New York post. Colt is editing a video of our entire trip and I can’t wait for you to see it!